Hey everyone! It's Candace from Candi O. Designs and it's my day over at Jaded Blossom! 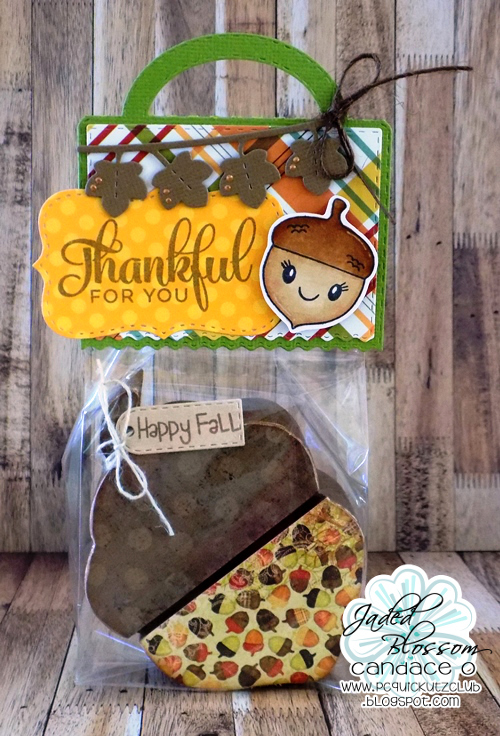 I made these treat bags for friends using Jaded Blossom dies and stamps!! I had bought wood acorns, painted them and added pattern paper then placed them into a gusset bag. The ric rac topper die was perfect to decorate a cute topper for these gift bags!! What a darling fun fall gift! Beautiful all around from the cute acorn to the great topper for the bag. Love it!